1. Cancellations done up to 72 hours before 1:00 pm on check-in day are fully refundable. 4. Any change of dates, room type, or special services made after your reservation, will be subject to availability and price variations. 5. Interrupted stays or unplanned early checkouts are non-refundable. 6. If there is a reduction in the number of guests, once the reservation is paid for, it is the hotel’s decision if penalties or refunds are applied. Located at the heart of the Sacred Valley of the Incas, Boutique Hotel Lizzy Wasi offers you the perfect setting to explore the wonders of Cusco and to relax within a century-old adobe cottage. At Lizzy Wasi you will receive detailed personal attention from our team headed by owner Liz, an American who came to Peru and fell in love with the country and its people. The property has 15 guest rooms. All rooms are authentically decorated and offer sweeping mountain views. 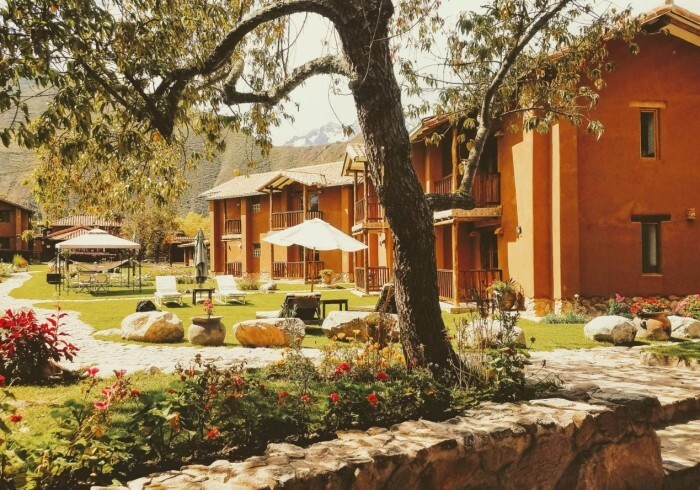 Lizzy Wasi is in the town of Urubamba, one hour from Cusco city and twenty minutes from the town of Ollantaytambo, where you can catch a 90-minute train ride to Machu Picchu. Nearby attractions include the ruins of Moray and the Maras salt mines.